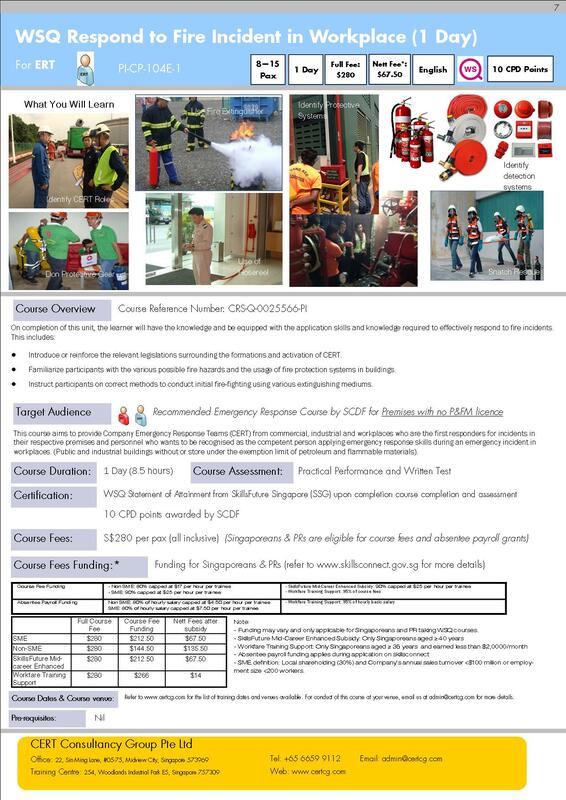 Funding may vary, please refer to www.skillsconnect.gov.sg for more details. Participants must be medically fit before attending this course due to the physical nature of this course. For conduct of this course for your organisation, email us at admin@certcg.com for more details.